“morriña”…..Gonzalo taught me this word. It is a Galician word that means to have a melancholic longing to be back in Galicia, a homesickness, a feeling of sadness by the distance and those things, and situations that evoke it. Oh indeed, that is what I feel! Words just cannot describe my connection to Galicia. It’s Celtic roots have grasped me and twisted me into their branches of mystery. It is known for its mystical powers, it’s witchery, myths and legends. It’s people are proud and different to those of other parts of Spain. There is something deep behind those beautiful dark eyes, their unnerving politeness and generosity. As I hugged the ladies in the cafe kitchen (twice) this morning, they all looked me in the eye and genuinely wished me well on my journey home. They could not have been more caring and helpful during my stay in Santiago. These people must be so sick if pilgrims and tourists but they never show it. I have been in Santiago for a month, walked it’s streets, wandered through its parks and even become friends with some more locals. I have been on day trips to other towns, seen waterfalls and forests, foraged for chestnuts, blackberries, figs and walnuts. I have eaten grapes fresh from the vine, drunk home made wine and eaten local cheese and ham. Such deliciousness is usually only dreamt of and I have been completely consumed by the culture and ancient traditions I have witnessed. As I have mentioned before, my grandfather was a Druid and I feel a deep connection with this Celtic part of the world. As I sat among the ruins of a Celtic village at Muxia, gazing out to that wild ocean there, I really FELT something. I sat and meditated for a while and it all felt so familiar and normal for me to be there. Yes, Galicia, you are home to me. 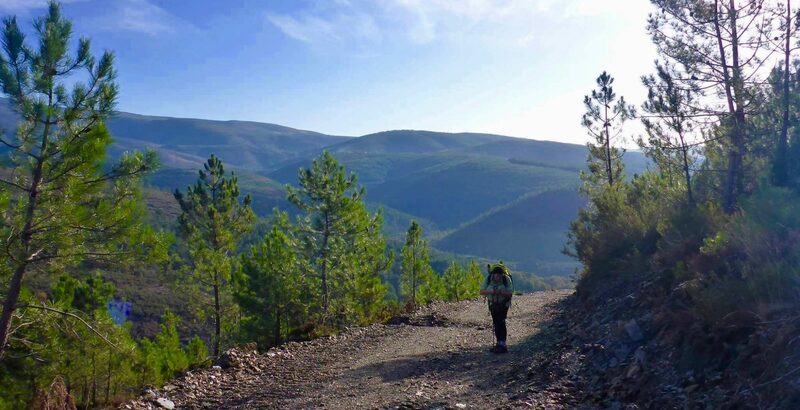 As one of your photos says Marg, the Camino and, Galicia in particular HAVE turned you into a Story teller and for those of us who have read your words, we are the richer for doing so. I know this feeling exactly!! Your beautiful words and beautiful photos express it perfectly!